Provides the 90 Essential Nutrients– Your Foundation For Good Health! The Healthy Start Pack forms the basis of your nutritional program! This is a Healthy Start Pak with Extra Ingredients to Help The Body Restore Healthy Blood Sugar Levels. 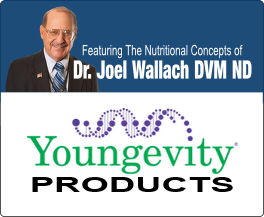 This pack supplies all of Dr Wallach’s 90 Essential Nutrients plus the ‘Secret Sauce’ Sweet Eze (Extra Chromium, Vanadium and Important Co-Factors) to help restore healthy blood sugar levels. This is a Healthy Start Pak with Extra Ingredients to Help The Body Restore Healthy Bones, Joints, Cartilage and Ligaments. All 90 Essential Nutrients plus the ‘Secret Sauce’ (Gluco-Gel and CM Cream.) Gluco-Gel provides building blocks for joints, ligaments and cartilage while CM Cream provides temporary pain relief for joints and muscles. This is a Healthy Start Pak with Extra Ingredients to Help The Body Restore Healthy Digestion. All 90 Essential Nutrients plus the ‘Secret Sauce’ (Ultimate Flora FX and Ultimate Enzymes) to help the body restore and maintain healthy digestion. When your digestive system is compromised you can develop many diseases because you are not even absorbing the minimal nutrients from your food. 30 Day Supply For 100 lbs. Body Weight. 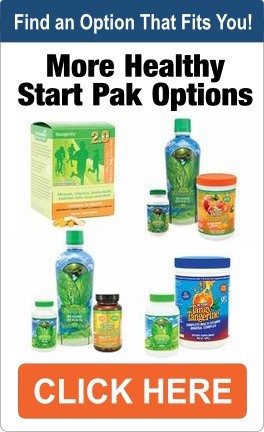 This is a Healthy Start Pak with Extra Ingredients to Help The Body Restore Healthy Function of the Brain, Heart, Kidney, Liver, Lung, Skin, Fertility, Libido, etc. This pak supplies all of Dr Wallach’s90 Essential Nutrients plus the ‘Secret Sauce’ (Ultimate Selenium & Ultimate EFA). This is a Healthy Start Pack with Extra Ingredients to Help The Body Maintain a Healthy Athletic Lifestyle. This pak supplies all 90 Essential Nutrients plus the ‘Secret Sauce'(Rebound and Gluco-Gel) to help support not only a healthy energy level but healthy bones, joints and ligaments. This is a Healthy Start Pack with Extra Ingredients to Help Support a Healthy Body Weight Loss Program. You Get all of Dr Wallach’s 90 Essential Nutrients plus the ‘Secret Sauce’ (ASAP™ Drops) that contain a proprietary blend of protein fractions and amino acids to support the release of adipose fat stores so your body can use them as fuel. Distributor of Youngevity Products. YGY Assoc ID No 101192682.